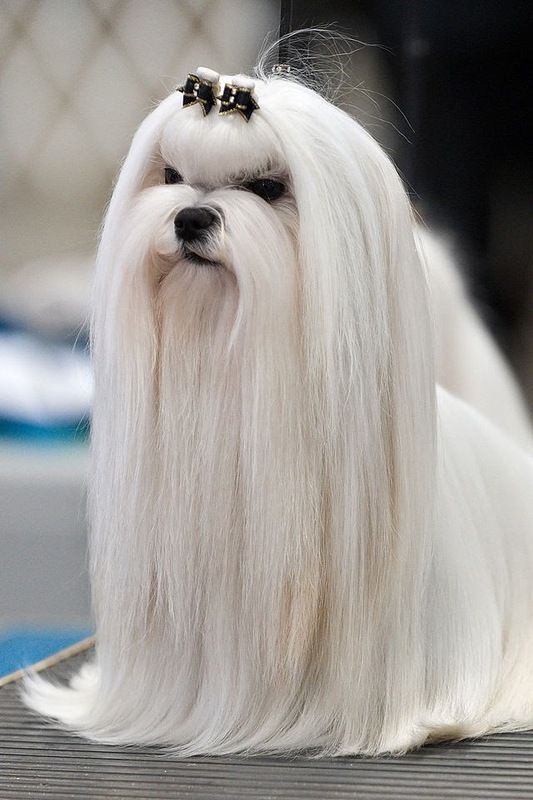 This is also a Maltese. 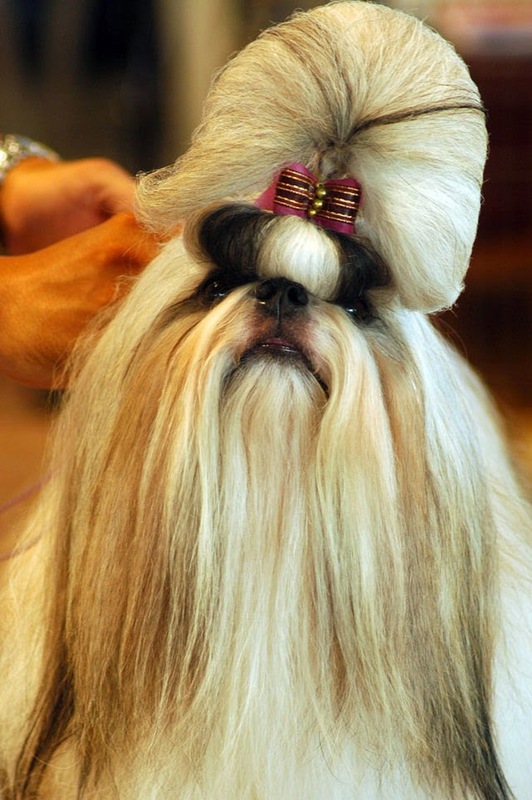 This is a Shih Tzu. 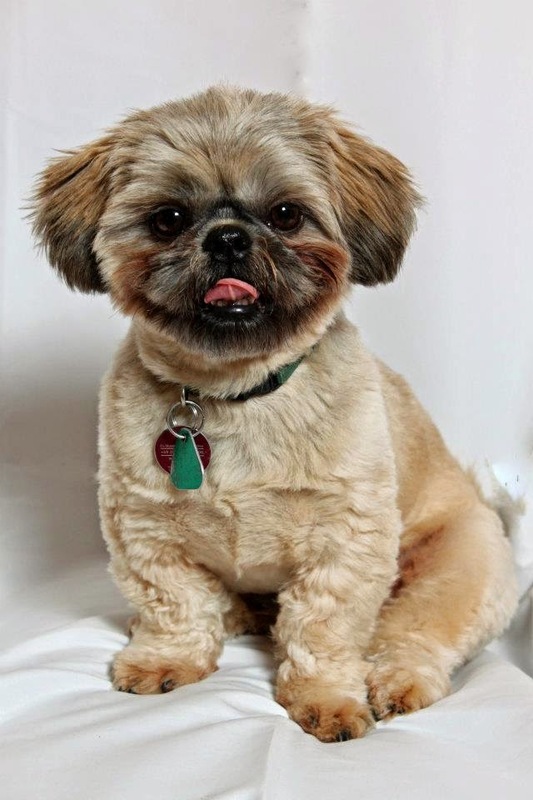 This is another Shih Tzu. 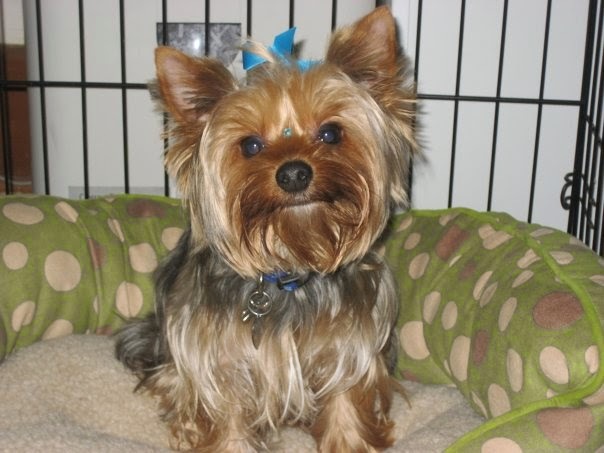 This is a Yorkshire Terrier, also known as a Yorkie. When the Designer Dog fad started, I wasn't terribly concerned with breeders mashing up toy breeds. Unlike working and sporting dogs, toy breeds are pretty much all bred to be lap dogs. Therefore, indiscriminately mixing lapdogs wasn't too troubling. More recently, I had an interesting thought. Obviously, I love and adore mixed breed dogs. Rescue mutts are wonderful, and guessing breeds is a favorite hobby of mine. That said, there is a purpose behind purebred dogs. The point of purebreds is predictability. 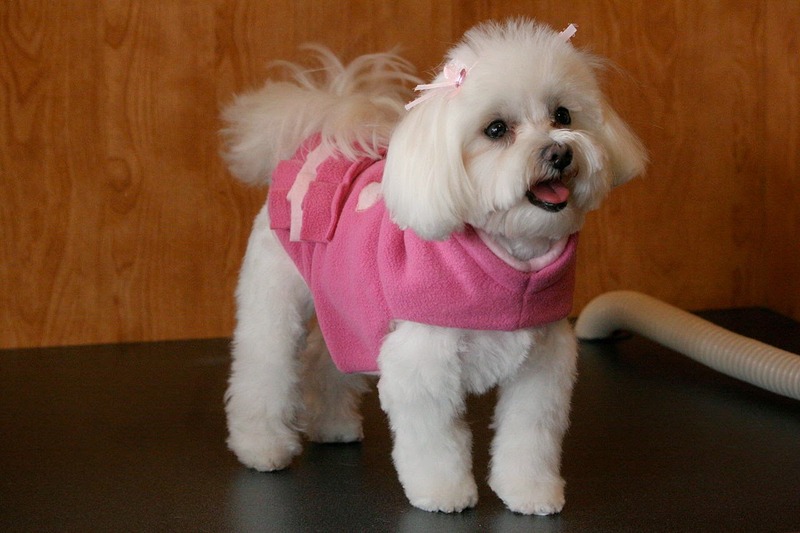 By getting a Shih Tzu, Maltese, Yorkie, Miniature Pinscher, Chihuahua, or Toy Poodle, a person can be reasonably confident that their dog will have a specific coat type, temperament, personality, and adult size. Obviously buying a dog from a truly good breeder helps a whole lot. 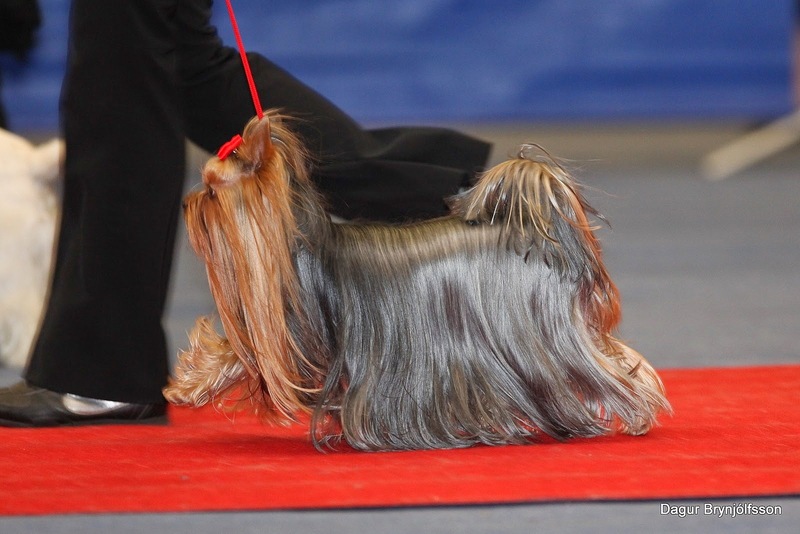 A good breeder attempts to better the breed and work toward some goal, and the result is consistently similar dogs. 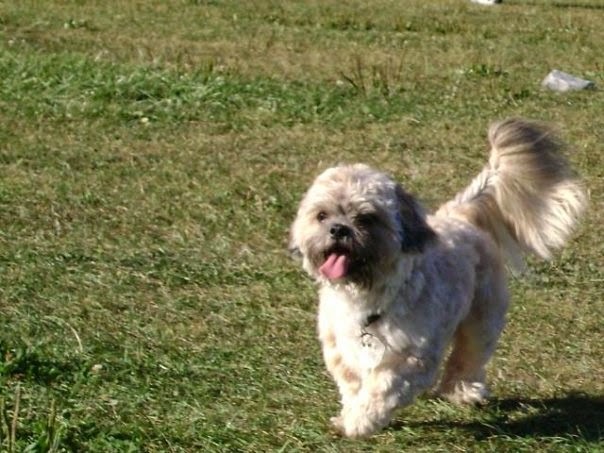 Sure, there are marathon-running Shih Tzus and couch potato Yorkies, but the majority of well-bred purebred dogs tend towards a temperament and personality that is typical for the breed. Most Shih Tzus are happy couch lumps, most Yorkie are ready to run. This is why there are breed clubs. This is why there are breed fans. This is why you can get coffee mugs and key chains and everything under the sun emblazoned with the image of your favorite dog breed. Owning a purebred dog is a bit like being the parent of a toddler; when your Beagle catches a whiff of the rabbits at the pet store and starts yodeling, other Beagle owners will smile and nod knowingly, or at least toss you a sympathetic shrug. "That's Beagles for ya!" Owners of other breeds haven't been there, and some of them probably wonder if you're torturing your dog over in the small animal department. I like to think of dog breeds sort of like paint colors. All puppies start out sort of bland and potato-shaped, and its easy to assume that they will remain indiscriminately squishy and adorable. Purebred dogs are like specific colors, easily recognizable and predictably different from one another as they grow up. Mutt puppies are fun to watch grow because they are unpredictable, but when all the colors of paint are mixed together, they end up brown. There are many different shades of brown, from pale beige to dark chocolate to red rust. Sometimes it's easy to see a lot of one or two colors in a specific shade of brown. This is what I see happening when the various toy breeds are all mixed up. 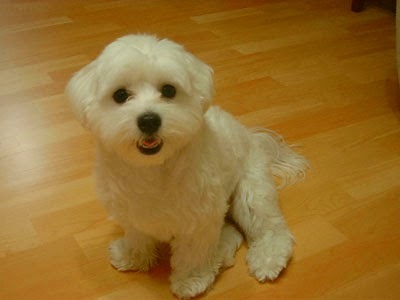 A dog may be a specific mix of Cavalier King Charles Spaniel and Bichon Frise, Toy Poodle and Cocker Speniel, Maltese and Shih Tzu, but they all end up looking the same. Designer dogs almost inevitably grow up into nondescript scruffy-looking mutts. Each of these four dogs is a specific, known breed mix, but none of them are immediately recognizable the way actual breeds are. 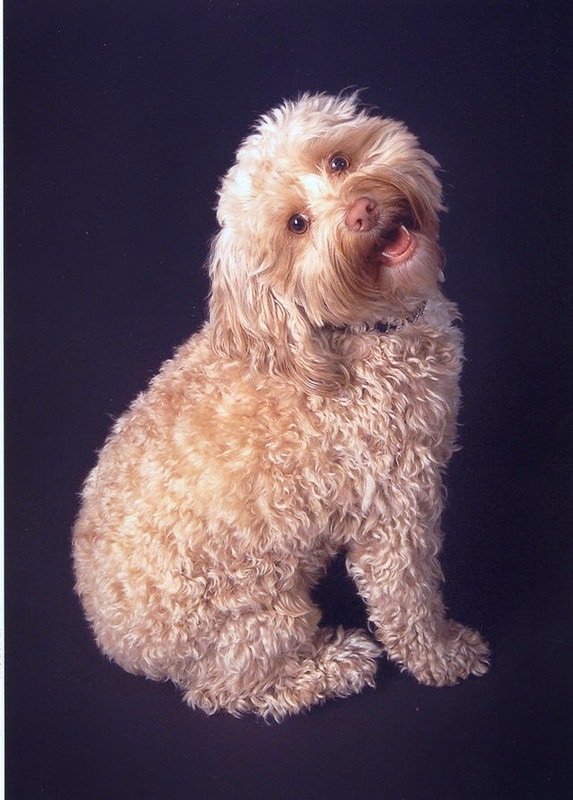 A few breeds are likely, the way a shade of brown can look reddish, but none are an easily definable hue with predictable characteristics and features. There is nothing wrong with brown. Mutts are fantastic. However, I do have a problem with someone making mutts and claiming that they are something other than a specific way to make a slightly more predictable shade of brown. The ethics of breeding mutts aside, there is nothing ethical about selling brown as extra-special "purple-orange" or "plorange". There is nothing ethical about encouraging this behavior by paying hundreds of dollars for a "plorange" puppy. There is especially nothing ethical about correcting someone who just commented on a nice shade of brown with, "Excuse me, it's Plorange." Nobody is going to recognize "plorange" or "purple-orange" dog because, when mixed together, purple and orange make brown. They can make some lovely, wonderful shades of brown that are just as valid as any other colors, but they are still brown. The paint box is filled with many easily recognizable colors that have their own fans, aficionados, and victims, but a specific shade of brown isn't set apart from the others just because of the colors that went into it. So that's my two cents of designer dogs. I just can't get behind homogenizing the small dog population and claiming to make it better somehow while losing the specific and reliable characteristics that make breed special. Even when making small companion dogs, we need to be breeding with loftier goals than just making more dogs, even cute dogs.